Two Eldrazi titans now roam Zendikar's surface. The network of stone hedrons that briefly imprisoned one of them is hopelessly disrupted, and the army that fought them is scattered. But four Planeswalkers took an oath: to keep watch over Zendikar and the Multiverse, to run toward danger rather than away, to stand against beings like the Eldrazi that threaten to destroy what people hold dear. They took an oath. They formed a team. Now they need a new plan. And Jace Beleren, with the information he gleaned from the spirit dragon Ugin, is the only person who might be able to come up with one. 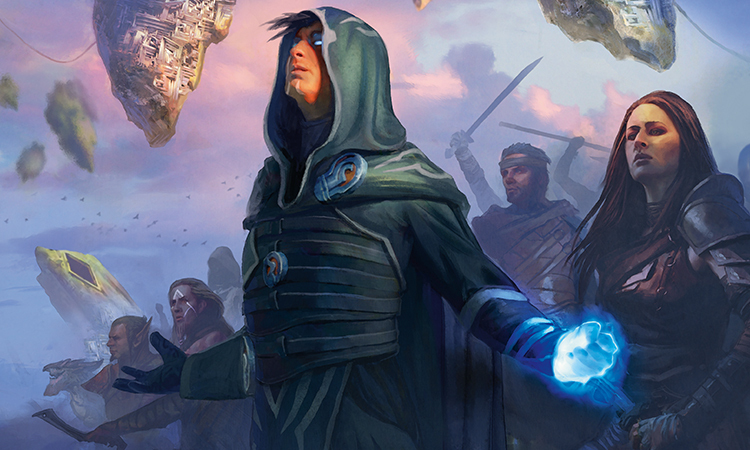 The sense of unified purpose was more fragile than Jace's compatriots seemed to realize. He struggled to hear himself think over the sound of the others talking, the others thinking. They were walking—wanting to run, saving their strength—toward a ravine where Chandra had seen some other survivors. They all wanted Jace to come up with a plan. But Jace had come up with a plan, and it had failed, and that left him improvising. "Whatever you need us to do, we'll do it," said Gideon, but to himself he added, if there's anything left to be done. "I'm ready," said Nissa. "Zendikar is ready." But another thought skimmed across the surface of her mind: How do I know you'll stay? "Come on!" said Chandra. "Spit it out!" Spit it out! her thoughts echoed, half a moment before—or perhaps half a moment after. She, at least, always seemed to point in one direction to such a degree that reading her mind was generally pointless. They stumbled down into the ravine, which was covered in Kozilek's weird iridescent trail. Jace sensed the others before he saw them—half a dozen weary humans and kor, the shadowed mind of a vampire, and the cool and distant thoughts of two merfolk. They rounded a bend in the ravine to find General Tazri and a few of her soldiers, the kor ambusher Munda, a sulking vampire who presumably represented Drana's interests, the ruin diver Jori En, and—oh, wonderful. 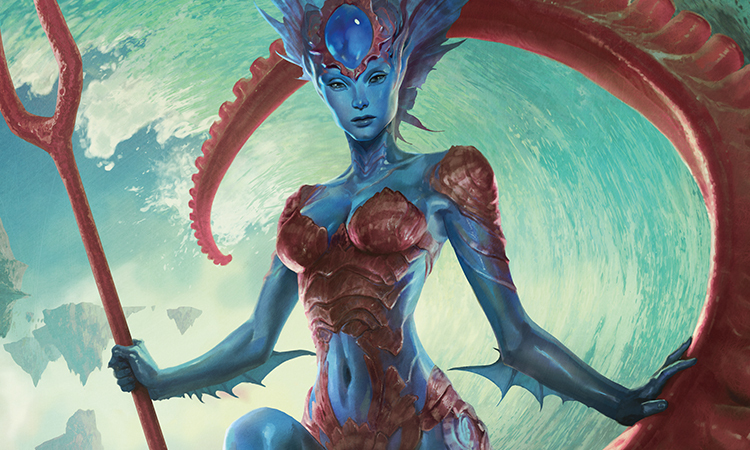 Standing tall, bident in hand, cocky smile still in place, was the merfolk Planeswalker Kiora, looking none the worse for wear aside from a few torn fins. They were arguing. "We strike here," said Tazri, gesturing at a map. "The titans are on the move. We cut them off before they get too far apart." "That's suicide," said Drana's emissary. "Commander-General!" said Tazri, snapping to attention. She radiated unease and relief in equal measure, her thoughts shying away from a recent, jagged memory that Jace didn't try to read. Gideon grinned and embraced her. "At ease," he said, standing back and appraising the group. "It's good to see you. It's good to see all of you." Gideon clasped Munda's arm, put a firm hand on Jori's shoulder, and nodded to Kiora and the vampire. Jace looked to Jori, then his gaze settled on Kiora. Is she going to work with us this time? Jace asked, in Jori's head. Jori flinched, slightly. Yes, she thought. Probably. "Kiora," said Gideon. "I thought we'd lost you." "I thought we'd lost a lot of things," said Kiora. Her smile faded, just for a moment, then returned with a kind of ferocious intensity. "Anyway. We're all here. What's our next move?" "Our next move?" said Jace. "You're the one who stormed off, forced our hand, led your little flotilla to disaster, and now—"
"Yes," hissed Kiora. Her eyes burned bright, and she was no longer smiling. "Yes. All of that. Which is why I'm here, now, asking you what we are going to do." She scowled. "For some reason I thought you'd appreciate a gesture of humility on my part." "On the contrary," said Gideon, before Jace could respond. "It's terrifying." That brought the smile back to Kiora's face, at least. Jace could make people do what he wanted, if he absolutely had to, but he barely understood Gideon's ability to make people want to cooperate. There was nothing magical about it, just charisma and personal integrity—neither of which Jace had ever seen a pressing need to cultivate. Which meant his first priority, in any given situation, ought to be winning Gideon over. A good thing to keep in mind, if they survived this. "What is our next move?" asked Tazri. "We've got people scattered all over the basin. I'm trying to round them up, but there's still water in the low-lying areas, and the Eldrazi are everywhere." "Jace has a plan," said Gideon. "Right?" Heads swiveled toward him, eyes full of expectation. Full of hope. Jace rubbed his temples. Closed his eyes. Opened them. "All right," he said. "Listen up, because we don't have a lot of time. I had a backup plan if our hedron trap failed, but it only had one Eldrazi titan in it. Now we've got two on our hands, our allies are scattered to the winds, and I've got...call it half a plan. I'm going to need your help making it a reality." He conjured an illusion: the ring of hedrons they had used to trap Ulamog. He sent them falling away as he spoke, splashing into an illusory sea, but he left the diagram that had guided them into place. The glyph that the spirit dragon Ugin had shown him—the shape the leylines needed to take to bind the Eldrazi. The sounds of battle echoed from around the ravine. Chandra fiddled with her gauntlet and looked to Gideon. He nodded, and Chandra backed away from the solemn gathering, hair already igniting. Some people weren't meant to sit still, and Jace would rather have her blasting Eldrazi than fidgeting through a plan whose details weren't going to interest her. She stayed at the edge of the group, unleashing jets of flame at small Eldrazi that got too close. "It's no longer possible to trap Kozilek and Ulamog," said Jace. "Not with the resources we have. We don't have the time or the people to build a hedron network around both of them. But this shape still has power." He indicated the glyph, now empty of hedrons, a circle with three equidistant projections. "Nissa, if the titans were close together and stationary, if you could concentrate completely without having to defend yourself...do you think you could make this glyph using Zendikar's leylines? Directly, without any hedrons to help?" Nissa's eyes grew distant, tracing the curves of lines that Jace couldn't see. Her hands flexed. "Yes," she said. "But without the hedrons to hold the leylines in place, the binding will only last for as long as I can keep it going. And I don't know how long that would be." "So we can't trap them," Gideon said. "What is it you're trying to do?" This was it. His last chance to back out from what might be a terrible mistake. Ugin, who was much older and much smarter than any of them, had given Jace two very clear directives: Don't try to kill the Eldrazi titans. And don't let the titans escape to threaten other worlds. But one of the two was no longer on the table. The means to trap one Eldrazi titan were now beyond them. Two of the things were loose, and they could leave Zendikar at any moment. The consequences of their escape would be disastrous, with certainty. They would find another world, one without the benefit of Zendikar's preparations; they would feed on that world, and thousands or millions would die. That left one option. Ugin had never been clear why he didn't want the titans killed—whether his objection had more to do with the risks of such an effort, or the consequences—and now Ugin wasn't here, at the moment of decision, to clarify. But he had spoken, at length, about the danger of allowing the titans to leave the plane, a danger that hardly needed to be explained. "We can't trap them, and we're not about to let them leave," said Jace. "That leaves one option. We're going to kill them." His companions, four other Planeswalkers and some very brave planebound fighters...nodded. Yes. Kill two enormous, unfathomably ancient beings using nothing but their own abilities and ingenuity. That made sense, didn't it? Azor help me, he thought. I've signed on with heroes. "How do we do that?" said Gideon. "When we spoke before, you didn't seem to think it was possible." "I didn't," said Jace. "But Ugin said something at the Eye that made me suspect otherwise." "That was before you said we had to trap Ulamog," said Kiora. "You didn't mention it." "Yes, it was," said Jace, "and no, I didn't. Ugin seemed to think killing an Eldrazi titan was a bad idea, and I promised him I'd avoid it if possible." "You gave your word?" said Gideon. Breaking a promise didn't seem to sit well with him, a fact Jace would have to keep in mind. "You held out on us," said Kiora. "If possible," Jace repeated, to Gideon. "It's no longer possible." He turned to Kiora. "And I did hold out on you, because I had a plan that didn't require your cooperation. I'm sure you'd never do something like that." "Well?" yelled Chandra, from outside the ravine. "Do you have a plan yet?" "We're going to need to get the two titans closer together—close enough that Nissa can trap both of them in the same cluster of leylines." "They don't care about us," said Kiora. "They won't rise to your challenge." "The titans are drawn to concentrations of life," said Jace. He turned to Gideon and Tazri. "That's where your people come in. Position them in the basin in strength and engage directly with Ulamog and Kozilek." "You want to use our army as...bait?" said Gideon. "What's the difference between bait and an ambush party?" he asked. Gideon waited, frowning, but Tazri spoke up. "Bait doesn't get a choice," she said. "That's right," said Jace. "Gideon, you've said these people are willing to lay down their lives for Zendikar. Well, it's time." "I can gather whoever we have and tell them the plan," said Tazri. "But you're the one who can make them believe it. Tell them what's at stake. Give them a choice, Gideon. When you say it, I don't think it'll sound like a very hard decision." Gideon breathed deep, in and out. "Rally the troops," he said. "I'll get the details, then join you." Gideon clapped Tazri on one armored shoulder, and she hurried off to rally the troops. "Right," said Jace. "Ugin described each Eldrazi titan as a man sticking his hand in a pond, and the original hedron trap as a spike driven through the hand. The titans we can see—those are just their hands. The rest of them are outside the plane, in the Blind Eternities. 'Killing' the part we can see doesn't do much. Our metaphorical man wanders off, down a hand...but free." "They're already free," said Gideon. "Yes," said Jace. "The spike's come loose. That's why we need to act. But if we just attack them—if we really hurt them—then they pull their hands out of the pond and wander off to bother some less dangerous little fish. So we've got to be smart about it. If you've got the means to drive a spike through a man's hand, what else can you do?" He realized, with annoyance, that he was repeating the same folksy metaphor that had irritated him when Ugin had used it, right down to the leading questions and tone of knowing mysticism. "You can pull him in," said Nissa. "And then he drowns," said Kiora, with a little too much enthusiasm. "Exactly!" said Jace. "So assuming Ugin's metaphor is broadly accurate—and frankly, at this point, we don't have any choice—we pull the two titans into the physical world completely, and then we can kill them." "That," said Jace, "would be why I told you I had half a plan. I don't know." "That's your idea?" said Kiora. "Pull the shark into the boat, and then, um...?" "No," said Jace. "My plan was to present the problem to my multitalented assortment of intelligent, experienced allies and see if they came up with anything helpful." "I can do it," said Nissa, staring off toward some distant horizon. She turned, as though she hadn't noticed Jace standing there. "It's complicated," she said. "Let me show you." Jace hesitated, remembering the chaos and power of the elf's mind. He hadn't been in control, and that frightened him. But what choice did he have? He closed his eyes, and opened Nissa's. In Nissa's vision, Ulamog was a pit of blackness, and Kozilek a writhing enigma. The leylines arced toward them—twisted, frayed, screaming in protest. I can't... he said, in her mind. I don't understand this. 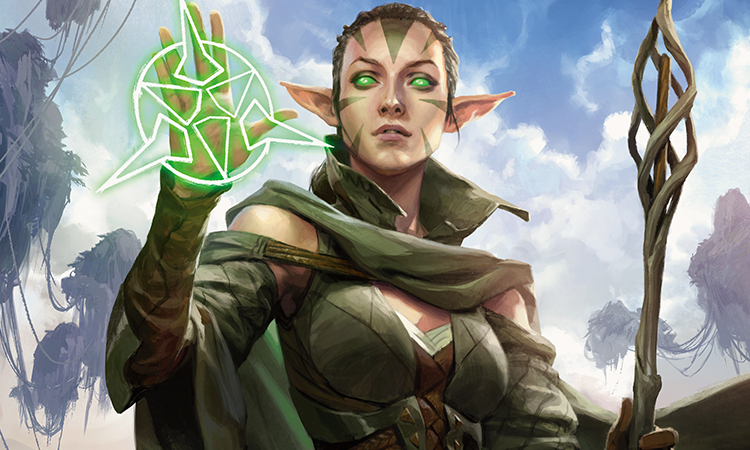 Images flashed, memories of the hedron network as it once was, as Nissa had seen it. Leylines crisscrossed the world in shallow arcs, guided and constrained by the hedron network. Eventually, across thousands of miles, they looped, crossed, and enclosed the titans in a prison of pure mana. The hedrons pulsed, occasionally, sent out bursts of wild mana through the leylines. Those bursts rippled across the land, giving rise to whirling winds and tumbling rocks of the Roil. Nissa hadn't understood it then, but she did now: the titans were trying to escape. The hedrons drained their strength, dispersing their exertions out into web of leylines. She'd thought her world was angry. She hadn't realized it was fighting for its life. The image faded, replaced by more abstract imaginings. Inside a glyph made without hedrons, the titans would be trapped for only a short time, but they'd be in direct contact with the leylines—the same leylines that could disperse the titans' energy into the plane itself. We can tear the titans apart, said Jace. Drain away all their strength into the leylines, said Nissa. Into Zendikar. So this world can do to them what they've been trying to do to it. Devour them. I know, said Nissa. Zendikar can do it. A moment of silence, then, in the space between minds. You removed the last failsafe, said Jace. You let them out. I let them out, said Nissa. Because I didn't trust Sorin, and I wanted to help my world. I thought they would leave. I was wrong. It happens, said Jace. You had bad information. And I knew that, and I acted on it anyway, said Nissa. Her thoughts were firm, unyielding. Why did you let me see that? Because I didn't want to wonder if you'd pulled it from my mind, said Nissa. And because I want you to know why I'm doing this. I have to make this right. He hesitated, unsure how the elf would react. I'm part of the reason the failsafe was needed. You let them out! said Nissa. I let them out, said Jace. Chandra and I. We were tricked into it, but that doesn't really matter, does it? 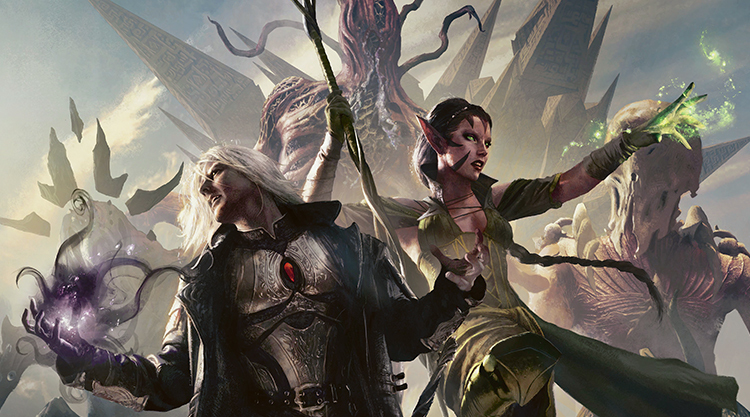 Three Planeswalkers had unlocked the titans' prison and allowed their spawn to swarm Zendikar. One had removed Ugin's final failsafe and opened the door. Three of those four were standing here, prepared to fix their mistake. No, said Nissa. All that matters is setting it right. He withdrew from her mind and opened his eyes, blinking at the dim and steady light of an unlined sky. "Well?" said Chandra. Seconds had passed. Jace swallowed. Speech felt clumsy and unwelcome after an extended mental conversation. "We have a plan," he said. "We pull them in, use the leylines to drain their essence into Zendikar, and let the plane itself devour them." "That's not so complicated," said Kiora. "I assure you, it's extremely complicated," said Jace. "But Nissa and I think it can work." "Where do you need us?" said Gideon. "We pick a spot," said Jace. "You and your troops lure the titans—" He smiled. "—into an ambush. Nissa and I wait there, with a small detachment of troops to guard us. When the time comes, Nissa weaves the leylines together and binds the titans. Your job is to hold off the Eldrazi for as long as she needs." He turned to the merfolk Planeswalker, who was twirling her bident...eagerly? Or nervously? "Kiora, you know your capabilities better than I do," he said. "I'm open to suggestions." "That's...remarkably intelligent of you," she said. "I'll clear out the basin," said Kiora. "Keep the swarms of Eldrazi off your backs and make sure your troops have dry ground to walk on." "What about me?" asked Chandra. "Go with Gideon, or stay with us," said Jace. "Set things on fire. But don't attack the titans. That risks driving them away and ruining our only shot at this." "What about you?" asked Kiora. "I coordinate," said Jace. 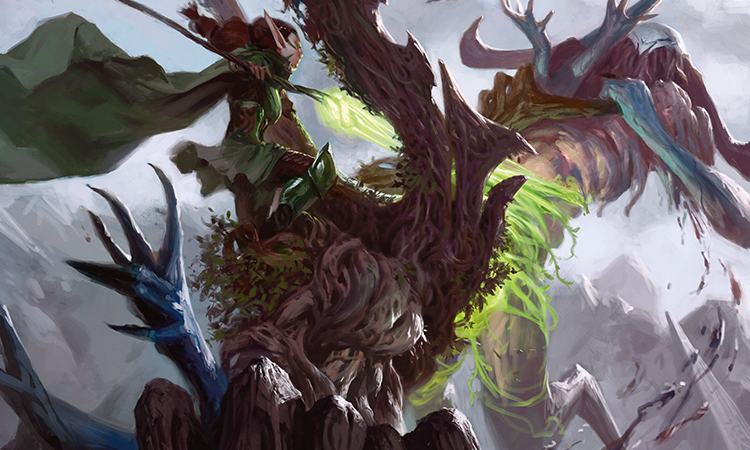 "Where everyone is, when to start Nissa's spell, and what to do if it starts going wrong." "Ah," said Kiora, with distaste. "Leadership." "No," said Jace. "Leadership is Gideon's job. This is management." "One more thing," said Jace. "Once we start doing this, the Eldrazi titans may...change." "What does that mean?" asked Nissa. "There's more to their bodies than we see right now, and we're going to be drawing the rest of them into physical space." Nissa's bright green eyes widened. She understood. "Meaning they may get, um, bigger," said Jace. "Bigger?" said Chandra, almost eagerly. "May?" spat Kiora. "What kind of plan is this?" "A messy, last-ditch, improvised plan with altogether too many unknowns and if-thens," said Jace. "It's also the only plan we have. Unless you'd like to try to stop us, in which case we can all waste our strength fighting each other and let the Eldrazi eat the whole damned Multiverse." Kiora stared him down. He stayed completely out of her mind—if she sensed that he was intruding, she'd turn against them. "Fine," she said. "We'll do this your way. And, mind mage?" "If this doesn't work, you'll have me to reckon with." "I'm sure I will," said Jace. "But if this doesn't work, I doubt you'll need to worry about it." "Do or die," said Gideon. "I like that." He raised his voice. "We have a plan, and we have the strength and determination to see it to completion. Let's go." Kiora and Jori left the ravine. Jori gave Jace one last look—was that doubt?—and then she was gone. Gideon turned to leave, then turned back. "What the demon said, about killing the telepath first..."
"I trust you," said Gideon. Jace put two fingers to his temple and said, in his most ominous mind-mage voice, "I know." Gideon rolled his eyes, clapped Jace on the shoulder—which he had to know by now Jace didn't care for—and trotted off. Chandra had already left, and Gideon ran to catch up with her. 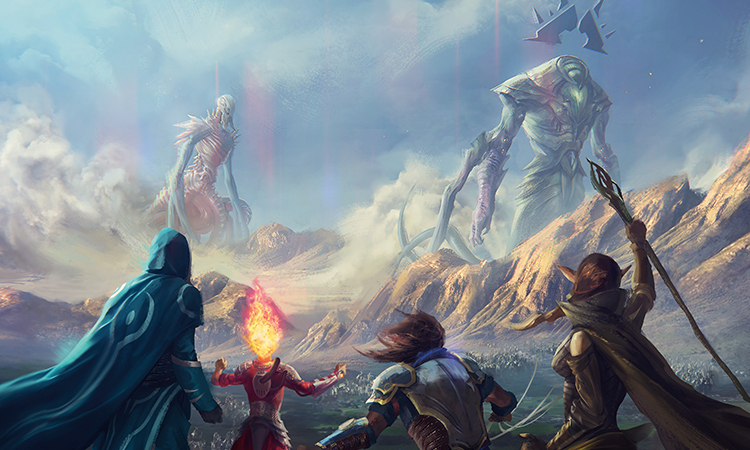 Jace and Nissa climbed out of the ravine and stared up at the Eldrazi titans—at what they could see of the titans—towering over the floor of the newly drained basin. "Sir!" barked a voice behind them. Jace turned to see two squads of soldiers led by a dour human woman. They were irregulars, running in loose formation rather than marching in ranks. They halted in a ragged line in front of the two Planeswalkers and stood at attention. "Rear guard reporting!" said their captain. It took Jace a moment to realize that the woman was talking to him. Even in the guise of Ravnica's Living Guildpact, he wasn't accustomed to any great degree of deference. "Oh," he said. "Uh, as you were." They stared at him, eyes hard. You say something, Jace thought at her. I'm not the one who needs to give them orders once the battle starts. Jace surveyed the troops—his troops—and the weight of what they were attempting took on harsh reality. He could explain. He could draw them a diagram, illustrate the metaphysics, haul out his metaphors and calculations. Well, that was one way to approach the problem. "It may not seem like it," he said, "but in a few minutes you're going to be the most important people on this battlefield. In the whole world, in fact." "This is Nissa," he said, walking along the line. "She'll be binding the titans, and ultimately she'll be the one who kills them. If she goes down, nothing else matters. Plan accordingly." Eyes widened, jaws set. They understood their task, he was certain of that. But were they actually prepared to perform it? 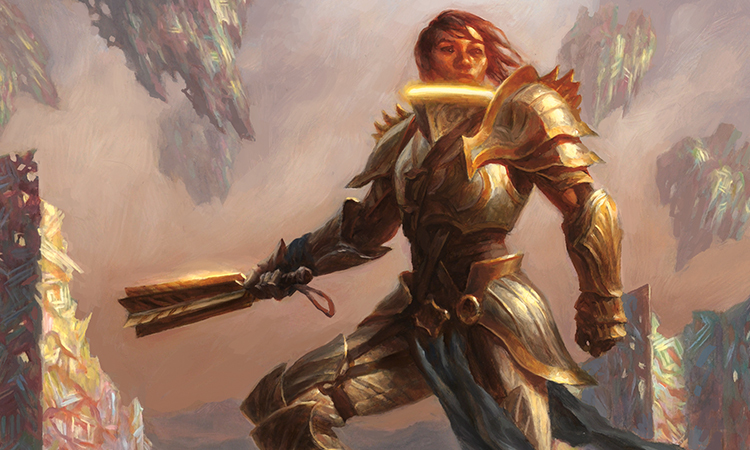 "For Zendikar," he said, raising one fist in the air. It felt thin to him, lacking Gideon's armored fist, his baritone war cry, his iron conviction. None of that mattered. The soldiers shouted as one voice, holding their weapons aloft. Jace turned and faced the titans. In the valley beneath their shadows, amidst multitudes of enemies, friends and allies fanned out, preparing to put his plan into action.